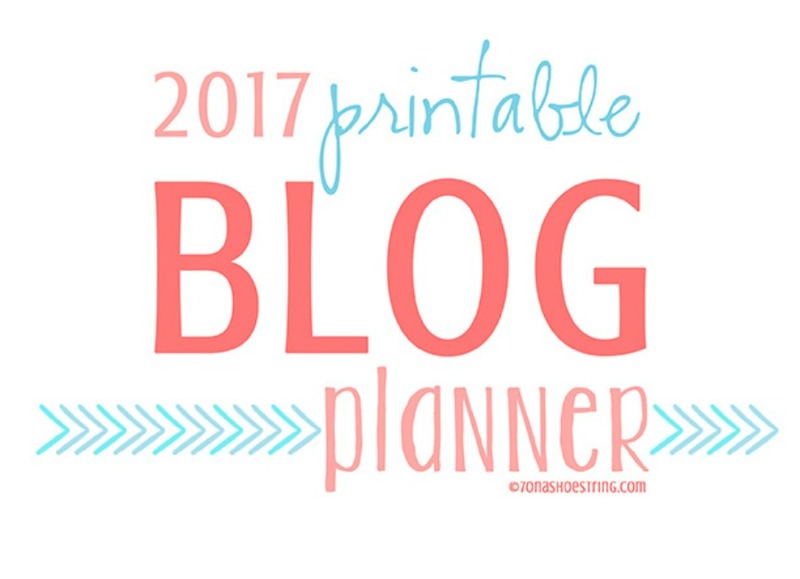 Looking for the 2017 Printable Blog Planner? Find it here! First, a HUGE thank you to everyone that downloaded, shared, pinned and enjoyed the printable 2015 Blog Planner. I love that so many people found it useful and have been able to enjoy the fruits of my labor, so to speak. It definitely makes the work put into it worth it. These past few months have been crazy busy and I wasn’t sure I would have time to revamp it for 2016, but after a few messages and emails, well, I had to! 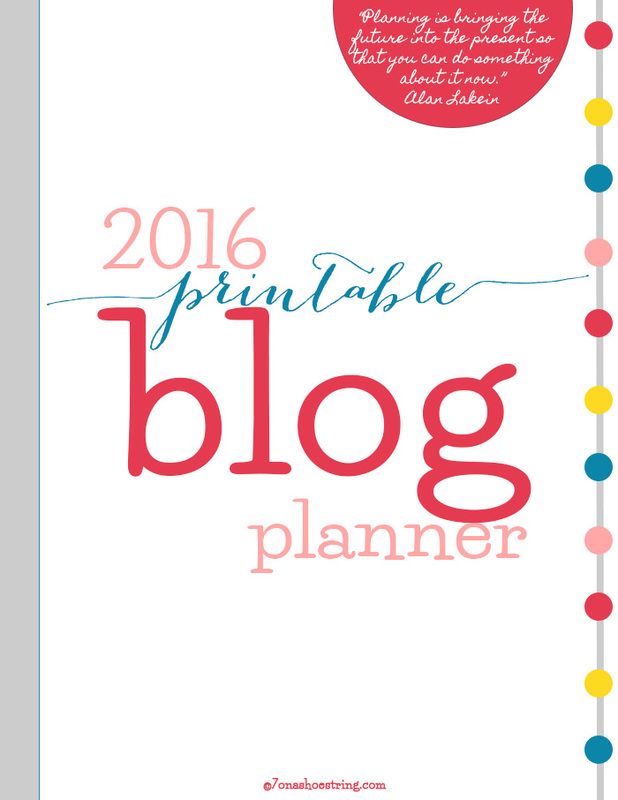 Therefore, here is the free printable 2016 Blog Planner! New colors. Updated holidays. Small tweaks. All ready for you to start planning your 2016 year of blogging. Week in Review: I don’t know about you but I have to plan my posts out over the week. If I can visibly see how many posts I have and when they will be published it keeps me sane. And I would use a pencil on this page. 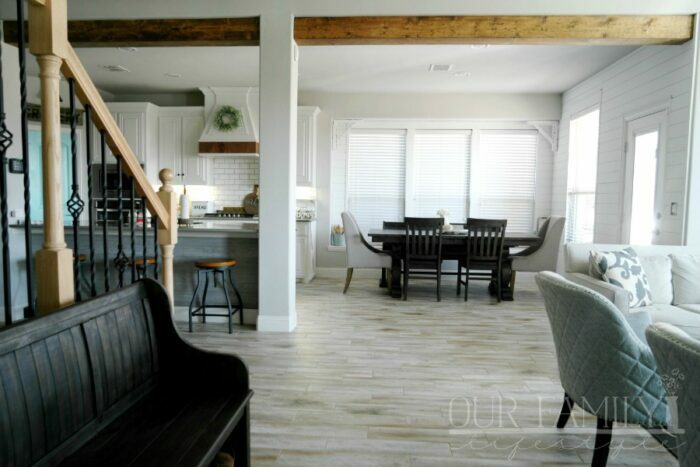 Oh… plus you can determine what supplies for recipes, crafts, etc you might need and take note. Not to mention, keep track of any other events or tasks you may have for the week. Post Planner: Consider it a brainstorming sheet for your posts. The title is often the hardest piece for me, not even lying. Map out each piece of your post, check that everything is done properly once written, and mark off those social shares. Monthly Stats: Growing your blog may or may not be important to you. So, IF you want to track your growth each month, I included a page for you to write down your numbers. Giveaways: If you do giveaways, this spreadsheet is to help you keep all of the information for each giveaway in order. Blog Expenses: Come tax time (or when you have to explain every receipt) this spreadsheet is there to help you remember what you spent on what and where. Keep those receipts and tally everything here. Blog Income: WooHoo! Even better spreadsheet. You want to know where your money is coming from. Keep track of the money coming in as well as where it came from. This will help you track down those unpaid services. Notes & Ideas: I get post ideas and inspiration at the most random times. Write down your ideas. Brainstorm. Jot down goals. Doodle. Use this sheet (and as many others as you print) however you wish. 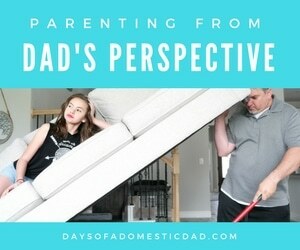 Holidays and Observances: Our kids know that we celebrate most holidays 2 months prior to their actual date. That, my friends, is the life of a blogger. You have to stay ahead of the Google searches and Pinterest feeds. This list is not complete but gives you a heads up on the U.S. Holidays and some fun (mostly food-based) observances. Hopefully you will find at least a page or two helpful in your blog planning for 2016. Download the free printable 2016 Blog Planner and let me know if there is more you think it needs!